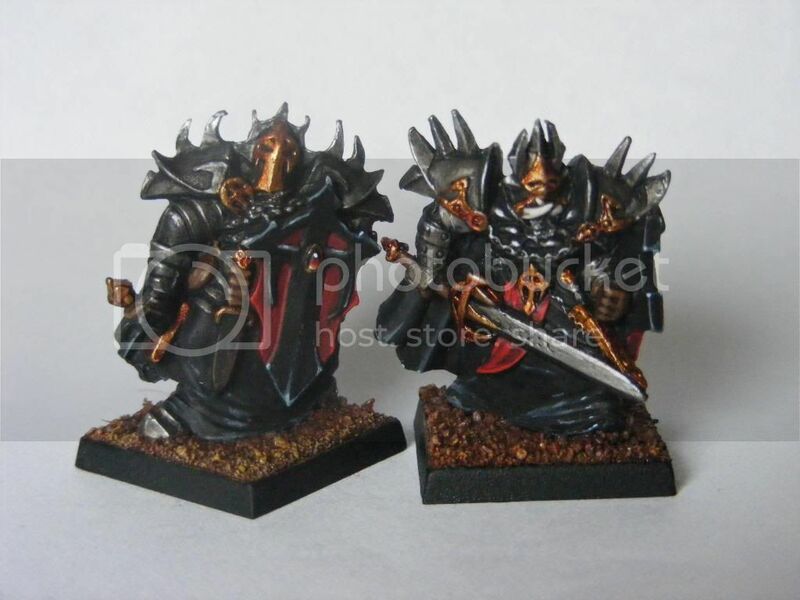 Heres a quick pic of a couple of Devout swordsmen that I've just painted up for use in Chronopia, Leviathan and even some old Warhammer! Those are very nice. Interesting to see them in a scheme opposite the white purity style that Target originally did them in. Love 'em! I especially like the shield and the highlighting. Very subtle and interesting.